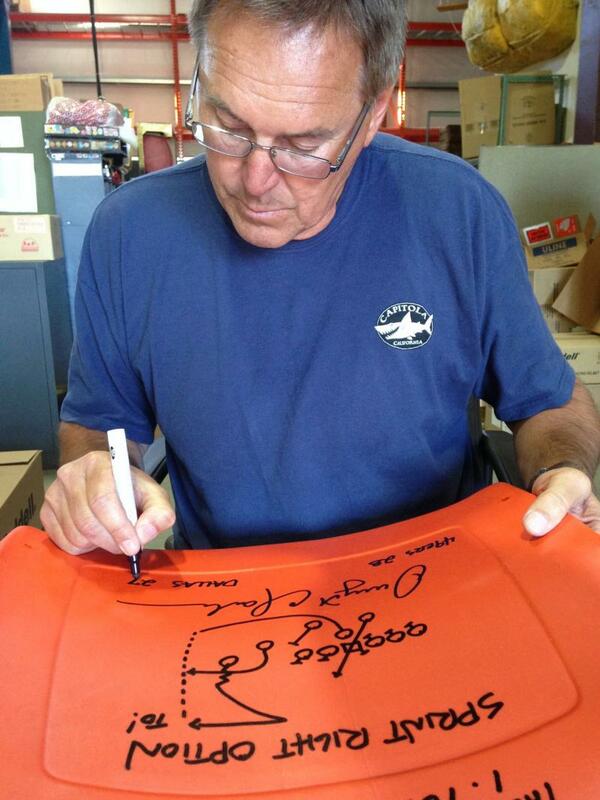 Dwight Clark Autographed Candlestick Park Seatback | Sports Memorabilia! 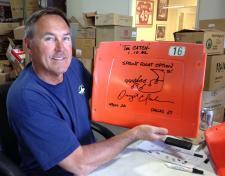 This Dwight Clark Autographed Seatback from Candlestick Park is awesome! With the demolition of Candlestick Park Joe Montana secured all the available #16 seatbacks and had them deliverd to our National Sports Distributors warehouse. With Joe Montana signing them we knew it would be a great idea to have Dwight Clark autograph these large format seatbacks with Dwight drawing out "The Catch" diagram from the 49ers' playbook. 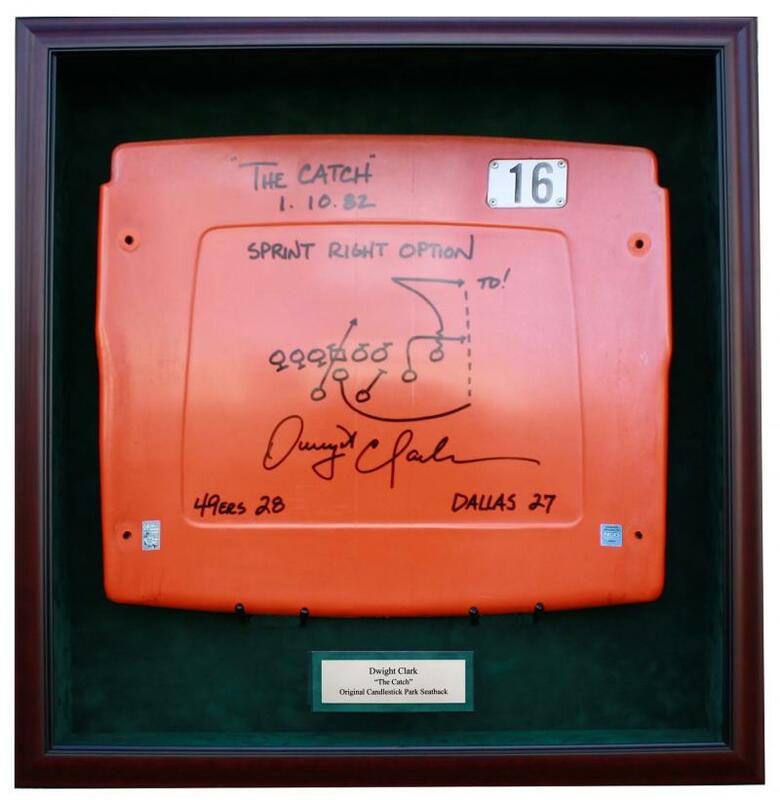 Each seatback has the diagram of the play, the name of the play "Sprint Right Option," the special inscription "The Catch 1-10-82" and the score "49ers 28 Dallas 27" all written out by Dwight Clark himself! 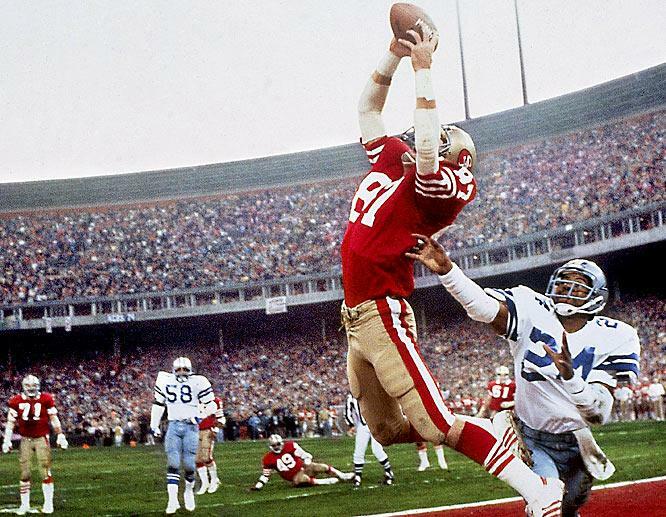 Dwight Clark passed away on June 4, 2018. There is very limited stock available. 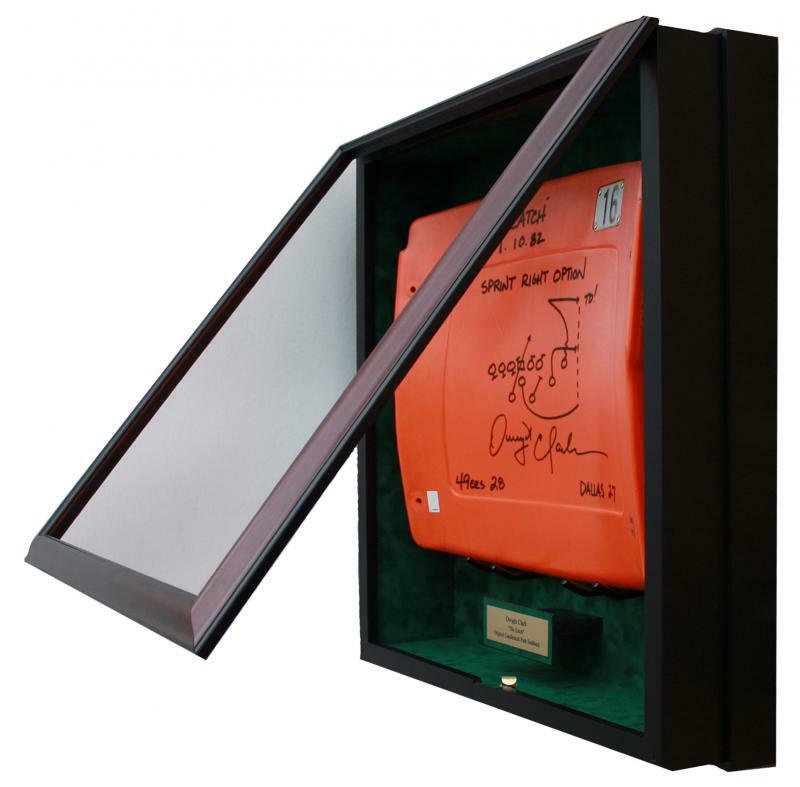 Each seatback comes with Dwight Clark's hologram and National Sports Distributors (NSD) numbered hologram and matching Certificate of Authenticity. The NSD hologram is the best in the industry as it clarifies that the autograph was witnessed by a NSD representative as it was signed by the athlete. Most of the seatbacks have some white oxidation on them due to the exposure to the sun and rain. This gives this Dwight Clark Autographed Seatback that "Game Used" look. The display case for this unique large seatback is sold separately. Click Large Format Dwight Clark Seatback Display for details. The seatback display cases are AWESOME! 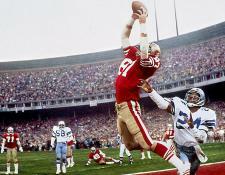 If you are interested, there is another version of the Dwight Clark "The Catch" seatback also autographed by Joe Montana. To see this version click here Joe Montana Dwight Clark Autographed Seatback.